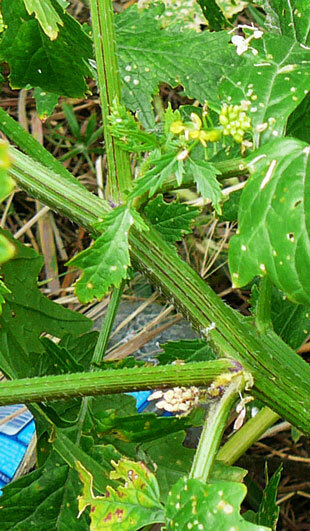 It is an archaeophyte, which used to be grown for mustard. or as a green manure. It is the mustard half of the salad ‘mustard and cress’. 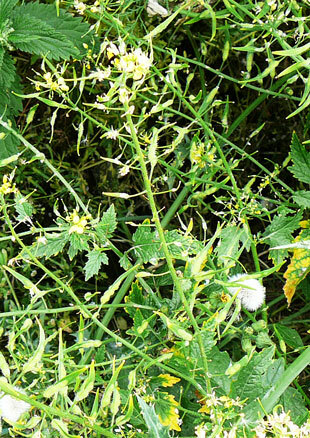 a weed of arable crops, especially on lime. 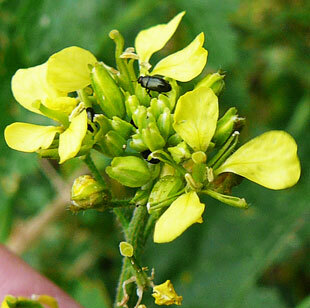 White Mustard is an annual, robust herb, growing up to 1m. 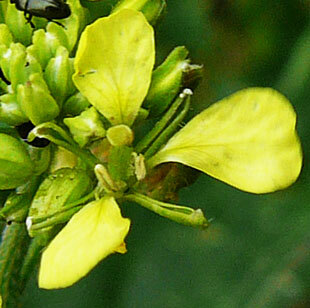 Petals are up to 15mm long, bright yellow and clawed at the base. The stigma looks capitate but is made up of 2 indistinct lobes. 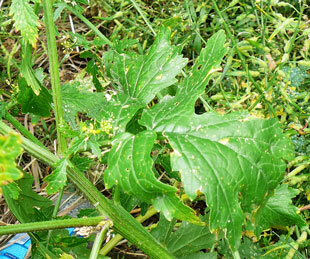 Fruits are up to 4cm long and 4mm wide. beak and 3 valves containing the seeds. 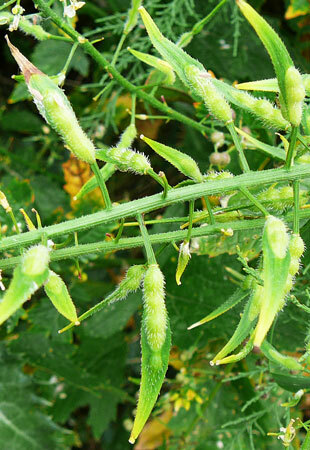 The seed-pods are stiffly hairy. lobed with a larger terminal lobe.